The new Peugeot 308 GTi By Peugeot Sport, which is available to order here at Motorparks, boasts all of the qualities you’d expect from a sports car — but applies them to a vehicle that you can use anytime you need to get from A to B. The car features an imposing stance, for instance, which is achieved thanks to an 11mm lowered ride height and the use of 19-inch ‘Carbone’ lightweight, two-tone diamond cut wheels. Step inside any of our new Peugeot 308 GTi cars By Peugeot Sport and you’ll also be greeted by GTi bucket seats and a cabin that’s been luxuriously designed with alcantara detailing and striking red stitching. 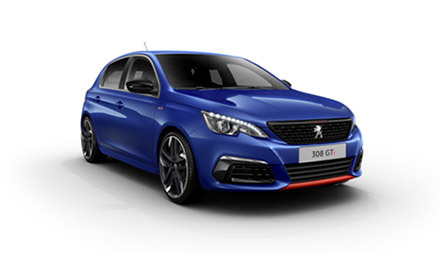 Find out more about the new Peugeot 308 GTi By Peugeot Sport by enquiring about the vehicle that captures your attention from the selection below online today. Alternatively, discover the car in person by visiting our Peugeot Warrington Motors dealership.